Please visit our JCC on the Cohn Campus, located at 13009 Community Campus Drive. We are located just off of Gunn Highway and the Veterans Expressway on a beautiful 21 acre campus. 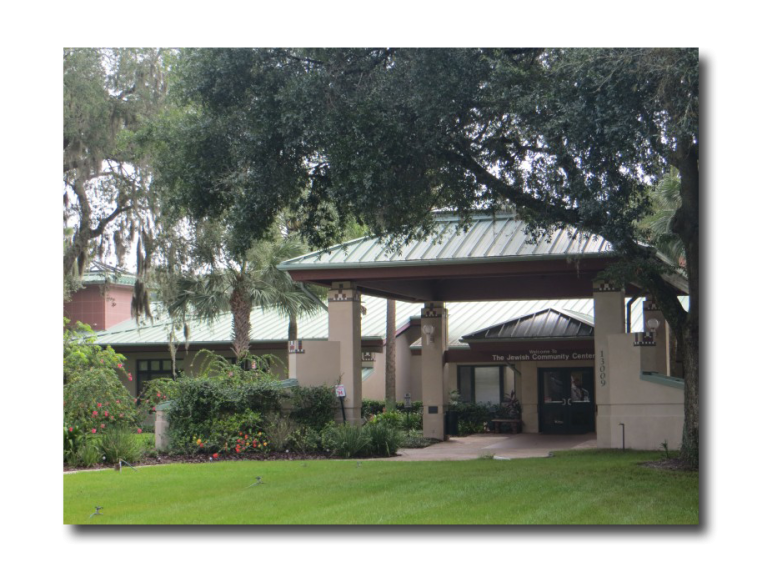 The campus is home to the Tampa Jewish Community Center & Federation, the Preschool North, Tampa Jewish Family Services, Tampa Orlando Pinellas Jewish Foundation, and Weinberg Village Assisted Living Residences. Phone: 813.264.9000. Learn more. To support and enrich the continuity of Jewish life and values in our community, in Israel and worldwide. The JCC on the Cohn Campus is the heart of a vibrant, harmonious and connected community that embraces everyone. We strive to be a unifying force for Jewish activity in Tampa. We provide a warm, welcoming atmosphere for community gatherings and activities. We reach out to encompass all Jewish constituencies and we are the first stop for newcomers. We actively support and build our connection with Israel and world Jewry. We fund current needs for our community and world and, through endowments, provide for the future. We provide a work environment that recognizes and rewards excellence in staff and volunteers. Thanks for your interest in the Tampa Jewish Community Centers & Federation. Creating a Pathway to our Jewish Future. 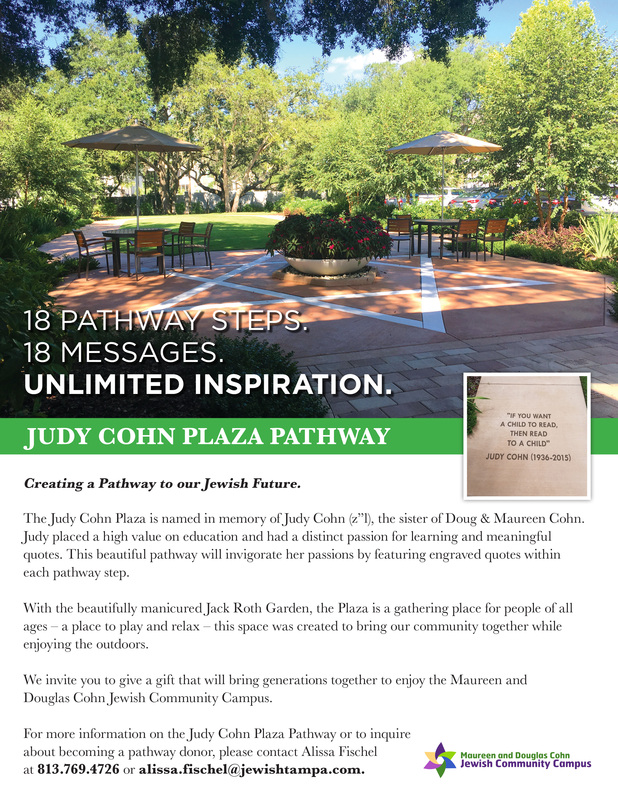 The Judy Cohn Plaza is named in memory of Judy Cohn (z”l), the sister of Doug & Maureen Cohn. Judy placed a high value on education and had a distinct passion for learning and meaningful quotes. This beautiful pathway will invigorate her passions by featuring engraved quotes within each pathway step. With the beautifully manicured Jack Roth Garden, the Plaza is a gathering place for people of all ages – a place to play and relax – this space was created to bring our community together while enjoying the outdoors. We invite you to give a gift that will bring generations together to enjoy the Maureen and Douglas Cohn Jewish Community Campus.